Ben's Blog: How S.M.A.R.T. Are You? I went off on a wild goose chase the other day (so what's new?) thinking I had a hard drive problem. It wasn't a hard drive problem but I learned something along the way. 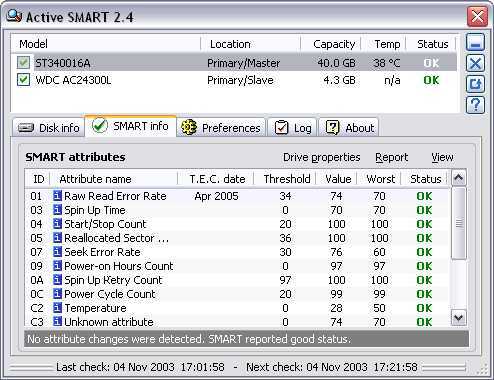 I remembered once I did have a hard drive problem and I ran IBM's Drive Fitness Test (DFT). It showed you not only the hard errors but soft errors as well. That program was a DOS program that you had to make a special boot disk to run. It seemed to me that there should be something you could run under Windows to get at this data. I Google'd DFT and ran across "S.M.A.R.T." S.M.A.R.T. stands for Self-Monitoring Analysis and Reporting Technology. I found 2 programs that report S.M.A.R.T. data for Windows. The first is Active SMART. This is shareware that costs $25. There are details below. 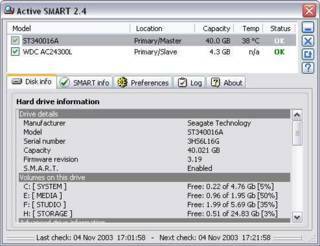 The second program I found is smartmontools. 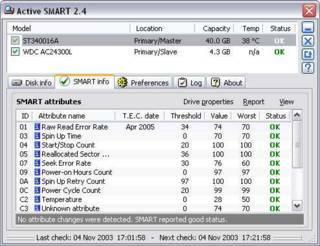 smartmontools is FREE from SourceForge. 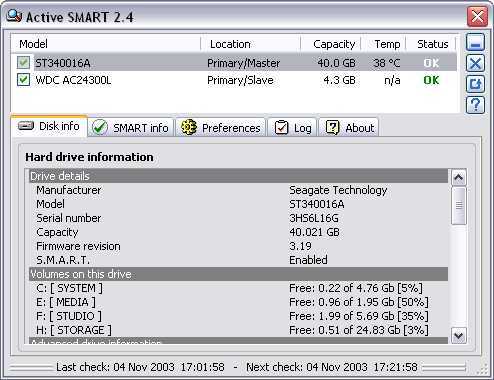 I couldn't figure out how to install smartmontools. I downloaded and installed Active SMART (beware that it sets itself to start when you boot and doesn't ask). 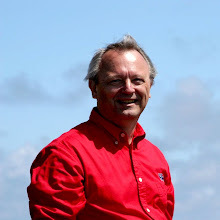 Anyway, here are screen shots from Ariolic's web site. There's a lot of detail on S.M.A.R.T. here. 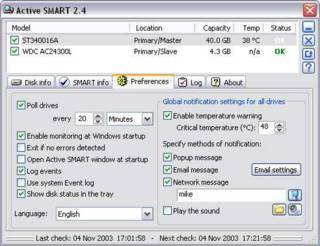 Let me know if you figure out how to install smartmontools.